I would like to try and learn Anesthesia Billing. 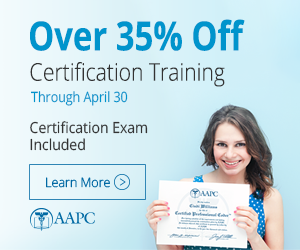 AAPC offers a course to practice what you know and prepare you for the exam, but they do not offer courses for people who have not billed for anesthesia before. Can someone please tell me what books would be required for this carerr when billing for anesthesia and a good self study work book for anestesia billing. Any help will be greatly appreciated!! We just did an hour webinar on this today. Aside from your CPT manual, you need the ASA RVG (Relative Value Guide) and Anesthesia Crosswalk. Thanks for the links they were very helpful. Do you know of a good self study course or a good online training course the doesn't cost alot? Do most positions require you to be certified as a CANPC or do they accept CPC's as well for anesthesia billing positions? I searched for a decent anesthesia book when preparing for my CANPC exam, and to be quite honest, there aren't any. I had to rely on the AAPC practicum which, while helpful, was not sufficient enough for my needs. There were some things in the exam (sedation for example) which isn't even mentioned in the practicum. As someone who hadn't done any anesthesia coding, the exam was difficult. If you do it every day it will be (quite) easy providing you also know your pain management coding as well ( it featured fairly heavily in my particular test). Thanks so much for the input, I now know what directions to take. Alabama anesthesia coder/biller, please help!